It was a day like any other, when I, Skylina, met Jackobinus AKA Jackopedia, and I knew since the first day that he was a born leader. Together we created a guild, Puffin Dragons, and since then we supported and saved each other’s lives, not once, but twice, without hesitation, without second thoughts. Some weeks later, the guild had grown as more and more people joined us, and we have been doing quests together ever since. This was really what we all enjoyed the most. There was one particular quest that we wished to complete, The Ice Islands Quest. Together with the leader, Jackobinus, and some of the new members of the guild, we traveled to the island called Svargrond. We had never been there before. It was a strange place. The snow had covered everything your eyes could witness, and at some point, it reminded me of a huge white blanket. As soon as we stepped out of the ship, the cold air and falling snowflakes stung our cheeks. The only sound we could hear was the wind howling and our shoes crunching on the snow as we walked. The first missions of the quest were quite easy, but later on, the missions became harder and we were asked to head out to Formorgar Mines. We all heard nasty stories from the miners about that place, back when we were in Carlin, but there was no turning back. We finally entered the mines. Walking through the mines we could hear echoed screams and moans of lost souls in the distance. The walls felt even colder than outside, but the choice was clear: complete the task before sunrise or freeze to death. 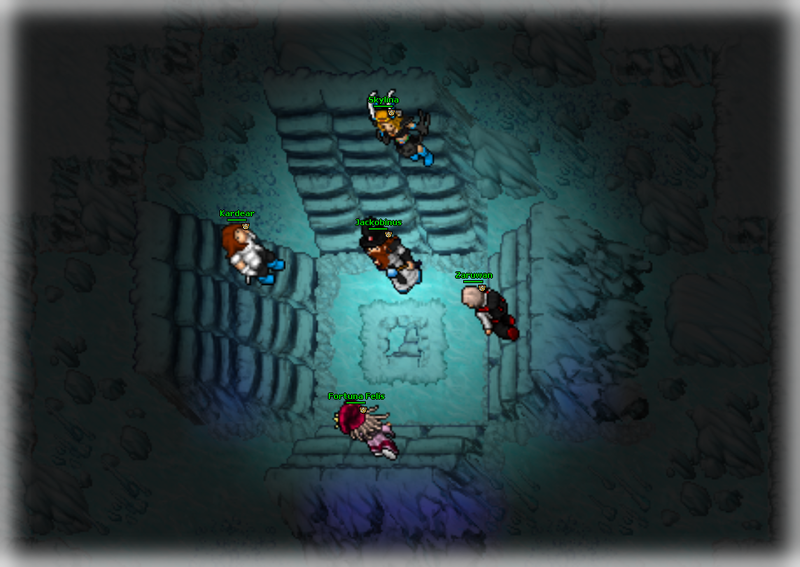 While heading to the last floor of the mine, we were suddenly ambushed by an enemy guild! We were outnumbered! The fear ran through our veins, it was the only thing that we felt, the fear of ending like this. One of the opponents screamed “Pay or die!”... and there were silence and stillness on both sides. Before we could even react, the storm had begun! Screams broke out and the enemies rushed towards us. They rapidly swamped us and we were just going down. There was nothing we could do. Our story began in Gnomebase Alpha, Warzone 1 to be correct. We, General Levy of Sarmats, decided to help officer Gnomeral in fighting evil creatures. First mission was to kill Deathstrike. Nothing hard, we thought. We knew about danger that was awaiting us. Some fungus, some magical and construct monsters. That didn't scare us. We were well prepared. Dwarven rings, potions, runes, magic walls for the last stage where we had to stack. So we went. The way was easier than expected, we were many people, avalanches and great fireballs were flickering around us killing the monsters. It took us not more than 2 minutes to reach the crystal and to stack safely. - Help! Help! I got freeze! One of our allied friends yelled for help. She didn't made it to the stack! She was left behind in freeze and someone already used the crystal so the massive wave of fungus started to spawn! Fast decision... What to do, what to do ... I couldnt't leave her behind. - Guys, go in and deal with Deathstrike, I will go and help her! - No! We need to finish our mission, I will deal with it, just go! I was so sure of myself that I can help her alone. But where she was? I used exiva ... Okay, she is to the west! I ran there, and yes, there she was, freezed but she was still alive! She didn't respond, the freeze was too strong. She dissapeared in front of my eyes. But I knew how freeze worked, she will be back. I needed to clean the room. I was killing Armadiles and Stone Devourers without problems but fungus made me sweat. There he was, my Emberwing, with him it was much easier. Suddenly my allie appeared. Finally! - Yes, let's not waste time, we need to move! We won't make it to the stack, we need to go back. Her Grovebeast wasn't much of help, since the fungus attacked us from the distance. 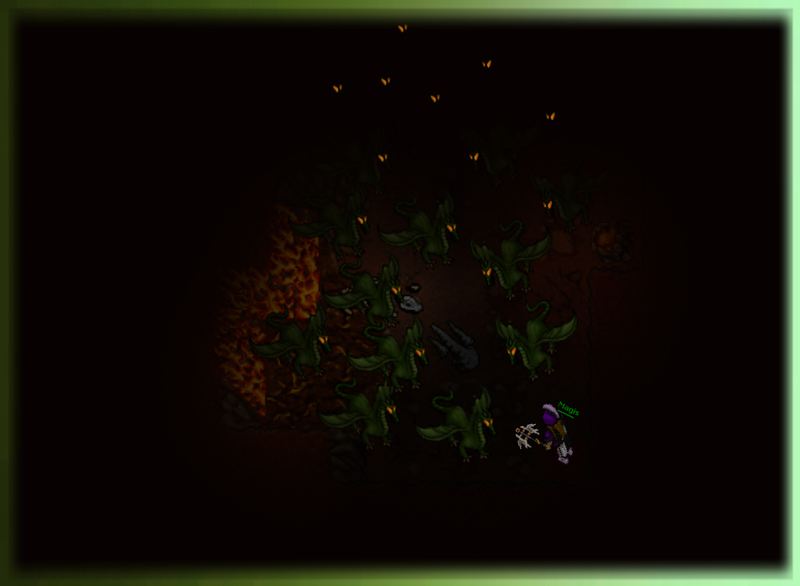 We were moving really slow, fungus spawned already again and we couldn't do much, it was only two of us and our summons. - Attack the Hideous Fungus! Humorless are his summons! When we kill him, his summons will dissapear! That idea was very good, indeed. We managed half-way but it was only harder and harder. Suddenly we saw some lights, red and blue ... Was it ... Yes! General Levy of Sarmats members! 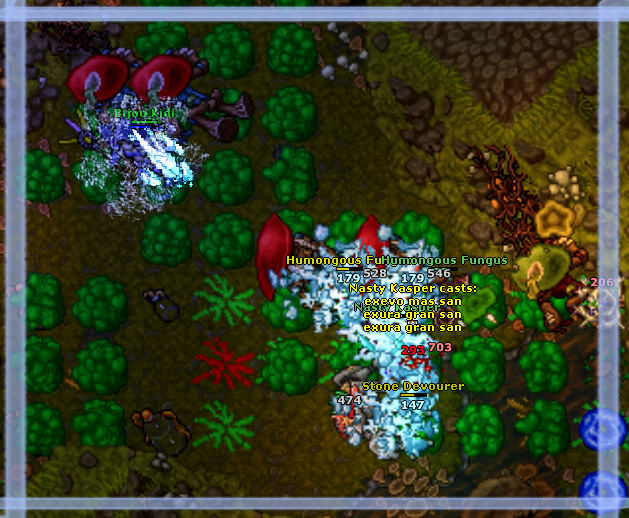 While we were fighting with fungi they killed Deathstrike and came back to help us! - WHERE ARE YOU GUYS?! They found us, our way back was much easier. - Thank you so much! - we both yelled, tired and exhausted. After this, we went to our guildhall to drink some Banana Chocolate Shakes. In the olden days, there was a fearless guardian angel, a young brave girl, named Magis, that wished to become a knight. Back in these days, it was a very big ambition for such a young girl, but if you really want to know her story, the first thing you will probably want to know is where she was born and how her uncommon childhood looked like. Her mother died on a dangerous quest when she was just two years old, all she heard about her were the tails of her heroic battles. She was, then, raised by the Amazons that lived in the North of Carlin, raised in a very unique way, in a way that made her different. Being just 16 she mastered her skills and had been knighted by Queen Eloise. The community loved her as she kept them safe, killing every threat to the Kingdom and her beloved people. She served alone and alone only. She was believed to be great-hearted and invincible. One day she was summoned by the Queen herself „We need your help in Venore, our allies were attacked by a Dragon”, she said. So in the cool breeze of the late night, she headed out there quickly, when she arrived she was told to go to the Dragon Lair, with just one simple task „Kill the intruder”. Walking into the cave, she took a deep breath and started looking for the beast with weather eyes opened. Going deeper, and deeper into this shady place, she didn't even notice when she was trapped, not by one Dragon, but a horde. Her furious eyes became wide-opened. Swinging a deadly chopper, she tried to precise her attacks hoping that she might get out of there in one piece. However, the beasts kept appearing, as in the dark she noticed more yellow eyes flared in her direction. Now you probably think that she wasn't invincible after all... but then a miracle happened. A heroic group of people, members of the Prime Guild, wiped out the whole horde, saving her life. She joined the savior's guild and together with them, side by side, they destroyed every threat that stood against them. A few years later they were sent to Darashia for an expedition and during the journey, their compass broke. They couldn't find their way back even less fulfill their mission, so they searched this mysterious place finding creatures that they have never seen before. After defeating countless amounts of them, they found a ruined bridge that they rebuilt and later broke the wall in the northern part of the Valley. Doing so they unlocked another part of this hideous place, a place full of fears and horrors, a place where all the demons go. Shortly after that, they were faced with a titanic creature, Gaz'haragoth, that they unleashed into the Tibian lands. Just by looking at his eyes he made their dreams shatter, but they knew that they had to confront him. After many attempts and resurrections by Zedrulon they finally developed a strategy that gave them hope to defeat him. Magis lured him into the corner and the magicians trapped him with magical trees. Staying with the boss, she screamed „NOW!” and a storm of arrows and death beams flew into Gaz'haragoth's heart. They did it! They defeated this titanic demon! After this life-changing experience, she finally understood the major thing in her life, she never wanted to be alone again. Thanks to her new family she became so strong that she is now able to slay a Dragon with a single blow. Title: "It's good to have friends." With the words echoing in her head; "Stay awake.. do not close your eyes!" the young druid forced herself to open up her eyelids to stay with the living. The bright light from the fires infront of her made the woman squint making her unaware of the surroundings. She could feel the heat from the flames that was infront of her but the cold chill from the ground didn't help her save any remaining energy she had left. Loud crashes of air and magic was vibrating near her, her hearing was muzzling the sounds around her, but the overall pain in her body was the first thing that got her worried. She couldn't feel the left side of her body. A cut over her left eye had mixed with her hair covering her left eye which made it hard to get used to the light. "Where am I" she whispered softly to herself while trying to figuring out the situation. She coughed abit, smirking while understanding she could breath atleast, noticing that she was wrapped in a red cloak with the golden embroided words "...Justice". "So this is justice eh... Bleeding to death while being surrounded by fire" she muttered while she tried to move her right arm to push herself upward to a more comfortable postion. "You haven't died yet, missy!" a strange voice appeared. There was a gesture infront of her but due to the fires she could only see the shadow of the man, not the face. "You must have hit your head pretty hard while losing control of your mana shield there from that demon." he kneeled down to put a ring on her finger. "Don't worry" he giggled; "It is not a marriage proposal, it is only for your safety while you regain your strength." White long hair, a small scar over his left eye, light blue eyes, a kind face by the smile but a seasoned one aswell. He looked friendly atleast. "Who are you?" she whispered while trying to look around to get a better clue of what was happening. "My name is Rand Silverfang, Elder and High Sorcerer of the guild Soldiers of Justice, and that is my cloak. Thanks for watching over it while I was fighting those demons." he answered while he tucked her better into the cloak. "That big fellow over there, he pointed over his shoulder, is Nasty Kasper from the great guild General Levy of Sarmats, he is also your friend. "And you, you are Bijou Kidi from the great guild called Satori. And you are our friend and ally hence why we are trying to help you from those evil demons back there." The other man appeared behind the so called Rand and stood over them staring down at them, like he was analyzing what was going on. "Can she move?" he grunted. "She has lost alot of blood, Nasty. But this ring of healing I gave her should keep her stable. After all she is using my mana to regain her health." Rand was holding her right hand without her noticing it. It felt strange, like something was flowing through them both. "And she might have a concussion since she clearly do not remember us, you silly paladin." Suddenly the fires went out and a cold feeling went through their bodies. Shivering while turning around the both men could see a dozen red eyes staring at them. "I told you this was a bad idea, from the start!" Rand muttered, when suddenly more screams were coming towards them from the darkness. Hello there, young and not so young adventurers. My name's Yokozyna. I’d like to tell you a story of friendship, bullies and bad jokes. Last winter I met a druid who calls himself Veajiterudaio. I’m still unable to pronounce his name, so I call him Vea. Or a halfwit. Vea (or a halfwit) was working in the Gnome Deep Hub for Gnomus. He was working hard every day, performing boring, repetitive tasks. I joined him once in his work and decided to stay. Then I regretted. Because during work he would tell me jokes. Jokes so bad that if he was to replace Bozo at King Tibianus’ court he would be beheaded the first day. Speaking of poor jokes and lame humor, we were soon joined by Janni. Have you heard the theory women can’t be funny? Janni is the best example of this. But at least she’s nice. I don’t mean nice in terms of looks, because she’s ugly as dwarven hell. She’s nice as in she’s kind. The three of us were hunting Diremaws one day (back when it was worthwhile to hunt them), when we were disturbed by a knight who looked really dangerous (even tho he was missing a tooth. Or maybe BECAUSE he was missing a tooth?). He definitely wanted to get kill us. Ruthless Armando was his name. He was riding a beautiful, white stallion. We never met him before and we were surprised he would act so hostile towards us. After the incident, we went back to our work for Gnominus. And soon we met Kilseno and Hilam Lajfa. They were really friendly and as we were talking and exchanging really terrible jokes, they mentioned someone who wanted to kill them at the Guzzlemaw Valley. We asked if this someone by any chance was Ruthless Armando. It was. As you might guess, our problems with Ruthless Armando were just starting. He became a real nuisance. His guild, White Horses (they all rode horses), was targeting us. They didn’t like gnomes and for example prohibited people from helping gnomes by doing tasks for them or killing Abyssador, Gnomevil and Deathstrike (so called Warzones). We founded a guild - Gnomes before Horses - and started organizing Warzones in secret. And as Armando’s White Horses were too powerful for us to fight them directly, we decided to fight them with humor (as you might, again, guess – it was mostly poor humor). Armando was missing a tooth so instead of Ruthless we called him Toothless. I’m good friends with Kevin Postner. He gave us a huge discount on letters, quills and ink so we wrote as many letters and scrolls as we could. They contained a message to Ruthless/Toothless Armando that he should go see the dentist. Some of the letters we sent to Ruthless/Toothless Armando and his mail got stuck. 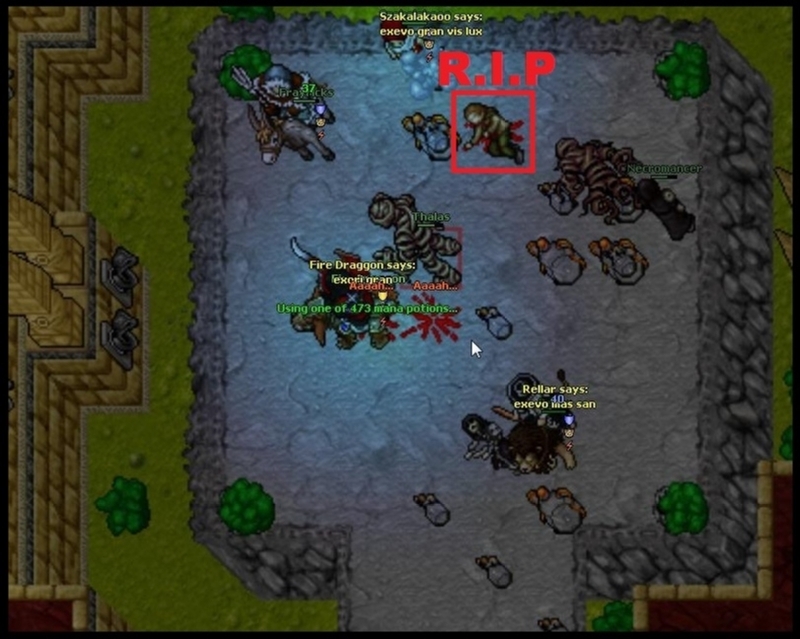 The rest we scattered around all of Tibia. To our joy – people started to copy those letters or make their own versions. 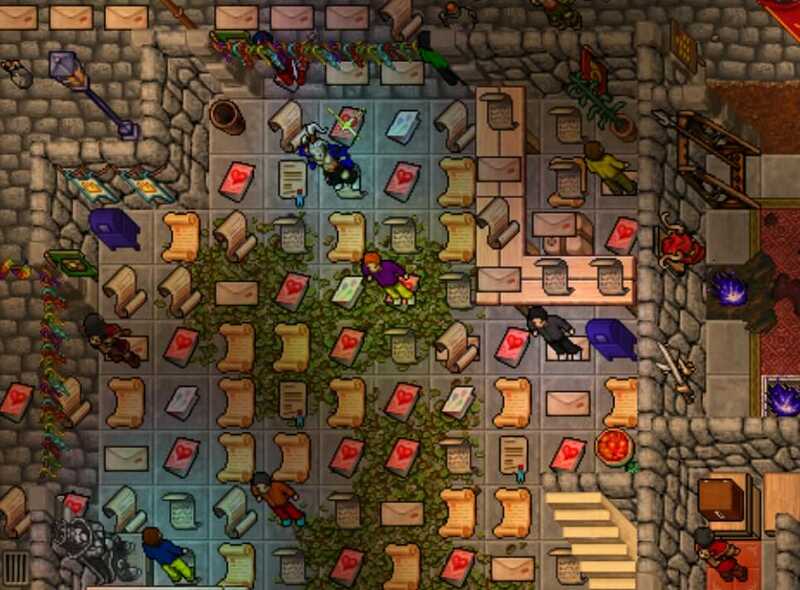 Soon, all of Tibia was full of letters, scrolls and posters making fun of Armando. He became a laughing stock. And it wasn’t long before he left our world. He couldn’t stand being laughed at by everyone. Soon after Armando left, his guild disbanded. We were free. And the Warzones which we started months ago are still taking place with participation of hundreds of people. To gnomes delight. To our delight. My name is Rey of the Legand and I'm here today to share the findings I have recently presented to Noodles Academy of Modern Magic. There had been reports of paladins struggling to handle their summon and Noodles requested me to look into the matter. Over the last year my guild mates and I have been observing the... "unusual behaviour" of Emberwing, which we at Solstice refer to as: The Bird. I have compiled a few key reports to share with you as presenting the case study in it's entirety would take much too long. I assume most of our readers will be paladins so I'll keep this sort as we all know ammunition is expiring Every. Single. Second. I left The Solstice complex, Darashia 8, and went across town to Razan to learn the new spell: "utevo gran res sac." I've been told there is quite the amount of excitement surrounding these newly discovered summons. I returned to my house and said the magic words and there it was! The Bird was there flapping it's wings, constantly bouncing between 2 squares. The Bird followed me every where I went, it even hastes when I haste! Unsure if The Bird is extremely empathetic with it's mimicry or if it's insanely obedient. 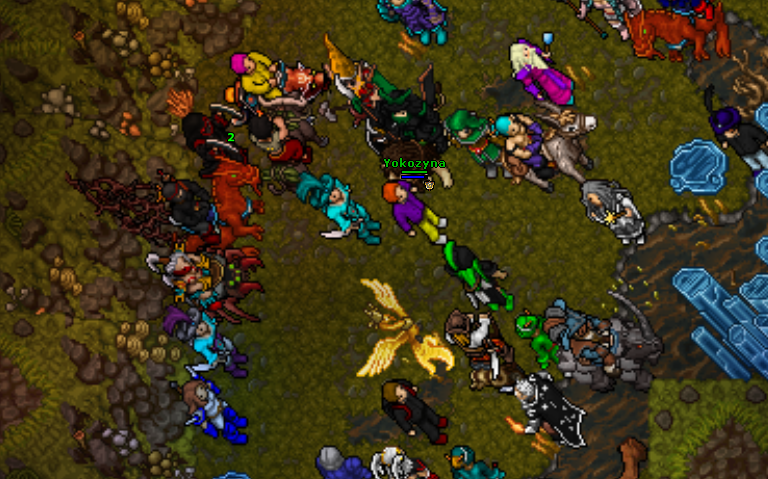 We have confirmation others refer to Emberwing as The Bird from beyond the realms of Tibia. Though these beings are definitely not Gods, I have seen people call these beings trolls. 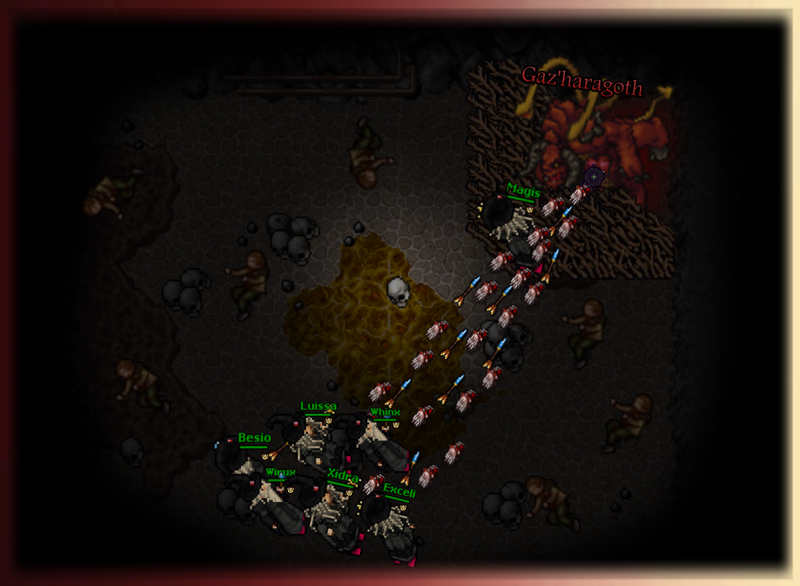 It should be noted their attacks don't come in physical manifestations like the trolls roaming the lands of Tibia. These trolls harm others verbally and emotionally. While hunting my guild mates found The Bird in an unfavourable position... It somehow trapped itself with a nightmare. Though this situation isn't dire due to the strength of a nightmare, this can explain why so many paladins are having troubles if this behaviour translates into situations with greater difficulty. With the building trend of getting into places it shouldn't The Bird managed to turn it into a positive for once by assisting Solstice in taking down The Thorn Knight. In closing, I'd like to thank The Bird for it's contributions. Despite some of them being negative, The Bird can hold it's own with most creatures while providing some quality entertainment. In any case I advise new paladins to be ready for The Bird to flip off any situation at any given time. Solstice would like to acknowledge significant harm was caused by this case study. The Bird suffered many deaths along with collateral deaths of Solstice members. In addition, countless creatures of all varieties were slaughtered, innocent children were terrified, but most of all we would like to acknowledge the psychological pain inflicted upon Solstice members from having to work with The Bird. 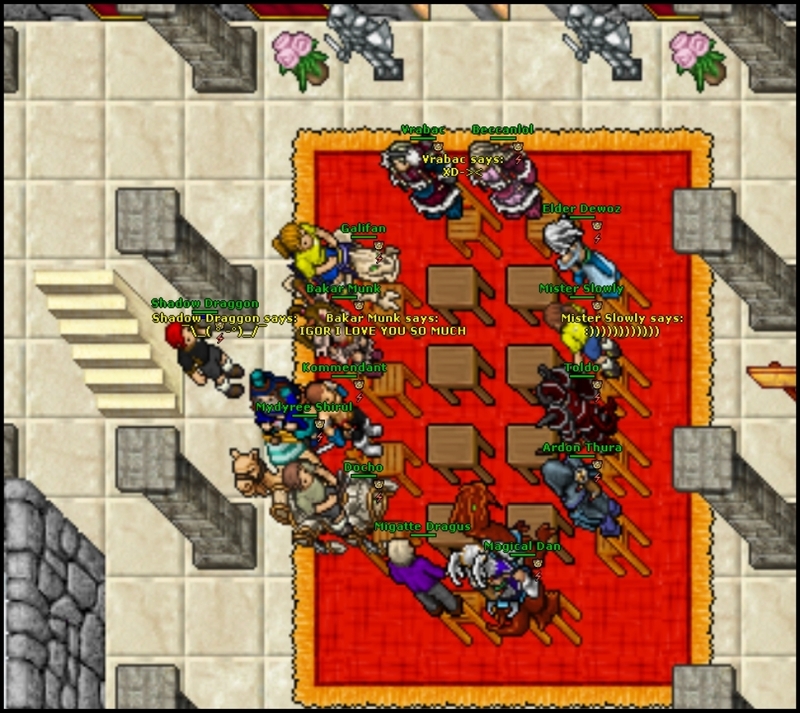 Amity, as the name says, is a friendly guild from Antica. Formed in August 2016, by a group of formidable friends, whose main objective was to build something unique. A guild like no other, a guild in which loyalty and respect comes before anything, a family! Fire Draggon, now known as Shadow Draggon in Amity, had the honor to be part of this select group of friends, and helped raising this family from the earliest days. What started with just a few friends suddenly started to grow, recruiting more and more friends to join our family. 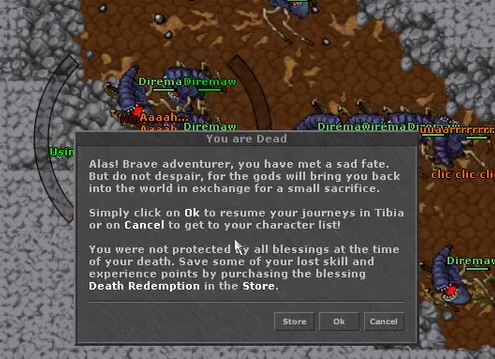 With bigger numbers we were finally able to start exploring the huge and amazing world of Tibia! Many quests awaiting for our arrival and we didn't disappoint!! We wanted to do it all, we wanted to show the community how a group of people is able to do anything, if working together! From easier quests, like “The Ape City” and “The Ancient Tombs” and with more levels and more confidence we started to climb our ladder! Each time taking harder and harder tasks! Nothing could stop us, The Emperor and the Demon Lords in the Inquisition tried, but failed! Professor Maxxen, pufffff, didn’t stand a chance! Even the almighty Ferumbras tried to save himself by bribing us with 2 Hats, but hey, now we want a 3rd one!!! Many adventures still awaits for us! But hey! We are not only about quests and hunts! As a family we also hangout with each other! Promoting events from time to time to keep everyone excited and motivated! Showing that this game is more than just experience per hour! That, in fact, the most important aspect of this game is the human interaction! The things that can last for a lifetime: the friendships and the memories shared with friends, the feeling of being part of something big! 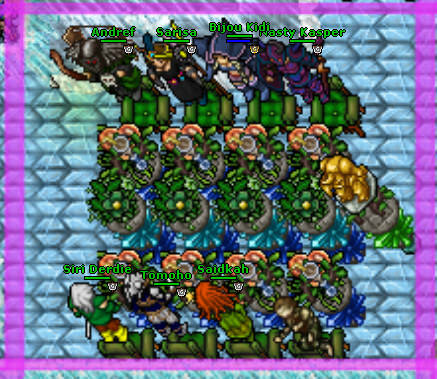 This union is what makes Amity unique, what makes it like no other guild out there! Now, 2 years later we are still here, exploring new areas and taking new challenges! And as long as our union lasts, we will keep going!